Spain and Sri Lanka have emerged as the best value destinations in a new survey of travel costs. The annual Post Office Travel Money report – which compared 42 destinations worldwide – found the price of eight holiday items, including a meal out, coffee, beer and a packet of cigarettes, totalled £36.14 in the two holiday hotspots. The report found the amount was just a quarter of the cost in Australia and South Korea, the two most expensive countries surveyed. A three-course evening meal for two adults, including a bottle of house wine, cost as little as £24.30 in Sri Lanka – a country hotly tipped for 2013 thanks to a new BA route – compared to £122.45 in Seoul, South Korea, where the eight items totalled £146.93. The latter’s position as the most expensive destination is significant given increased interest in the country in the wake of pop star PSY’s eponymous hit Gangnam Style. Meanwhile, low meal prices helped Spain’s Costa del Sol hit the top spot – the research found that eating out can now cost 50 per cent less than five years ago. The Worldwide Holiday Costs Barometer showed Australia as the second most expensive destination, where the eight items cost £145.28. Other pricey locations included New Zealand (£127.67), Canada (£110.27) and China (£116.45). Destinations also offering good value for money were Prague, where the same set of items cost just £39.17, Bali (£40.47), Vietnam (£43.20) and Bulgaria (£45.10). Mexico has benefited from low hotel and resort costs as well as more direct flights, while hotel rates have fallen sharply in Greece. But prices have risen in Italy, making it 50 per cent pricier than Greece. Once regularly seen in the top 10, the South-East Asian country has fallen to 16th place (£58.31). Rising resort prices mean tourists can now expect to fork out 22 per cent more this year. Vilnius in Lithuania was tipped as the next place to benefit from high demand for low-cost city breaks, while other countries likely to make a tourist breakthrough this year included Qatar, Oman and Jordan. The Post Office said the evidence suggests that holidaymakers are increasingly being savvy about where sterling is strong, resort prices are low and more flight routes have kept prices down. Travel Money head Andrew Brown said: ‘There are growing signs that UK holidaymakers now check the value of sterling and the costs they face in overseas resorts before booking. In an exclusive interview to Holiday Home Times, Eduard Hempel, CEO of Pearl Properties in Sri Lanka tells us about life in Sri Lanka in general, the country’s emerging holiday home market and why more and more expats are investing in property and are retiring in the country known for its virgin beaches and year-long warm sunshine. Please give our readers a brief personal background and history of your own company. What are the services that you offer? At Pearl Properties we help buyers find their dream property or land investment in the South of Sri Lanka. We guide them through the legal, taxation and cultural issues and questions involved and make sure their investment is safe and secure. We also offer rental and management services. It is actually quite difficult to buy here and we help smooth the process. Can you give us a quick brief on the real estate market of Sri Lanka? With the end of the war in May 2009 all sectors of the real estate markets are attracting a lot of attention. The holiday home market in particular is very exciting with prices of beach land doubling and tripling. 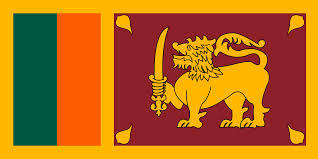 The economy in Sri Lanka, like so much of Asia, has its troubles, but has an underlying strength and will to grow. Sri Lanka has one of the GDP per Capita levels in S Asia. It also boasts a very high literacy rate. With peace, Si Lanka should enjoy a god 20-year ride towards greater prosperity. At present the market is very nascent. We have seen some spectacular rises already, but it is safe to say that as the economy here continues to grow and as credit starts become more available and more sophisticated we can expect very good long term growth. How big is the second/ vacation home segment of the real estate market in the country? The second home market is still relatively new and small. Tourist numbers here are still only at about 1 million year compares to about 12 or 15 million for Thailand and Bali and there is no question that we can compete with those countries for beauty and culture. Do you see a lot of holiday homes in the country which are rented out to travelers? What kind of income does the average property generate vis-à-vis the buying price? Again the numbers are rapidly improving. A few years ago one would be lucky to get the bills paid, but today a reasonable return of about 5-10% of value could certainly be expected. If you consider that hotel occupancy rates have gone from an average of about 10-15% to about 70% in three years you can get some idea of how the market is changing. Any time here is wonderful. We have a West Coast season from about the end of November to April and an East Coast Season from about June to the end of September. Then there are the hills and the cultural triangle. So the sun should always be shining somewhere. Which are the locations/ destinations in Sri Lanka that are seeing a lot of vacation home developments? What would you personally recommend? 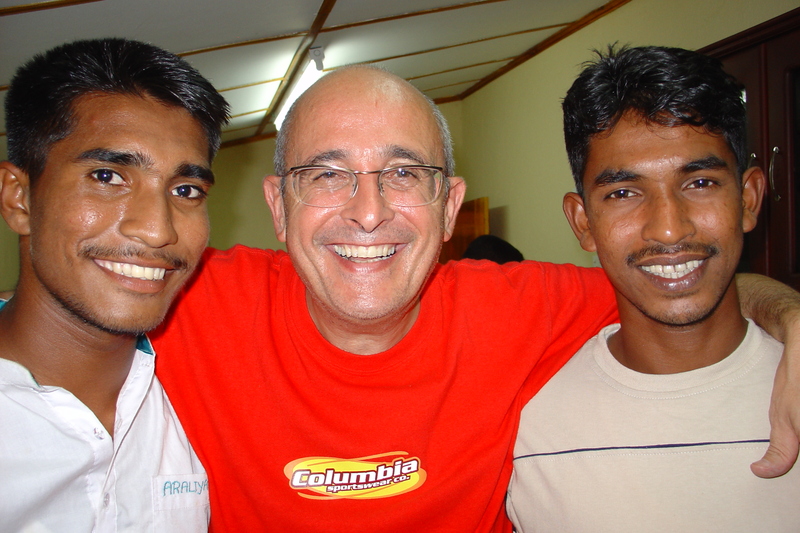 The Galle area where we are based has a strong head start. We now have a highway to Colombo and in a few months it will connect to the airport so you could be with us in about an hour and a half. The Highway is also extending South and opening up the country all the way to Hanbantota and Yala where there will another airport within a year. I think we will see the strongest growth in this area but there are also some exciting developments on the East Coast from Aragum Bay to Trincomali as well as Putalam on the North West. According to you where should one look to buy a property in the country? Definitely with Pearl Properties! Seriously, anywhere will be good, but if you want something to do in the evenings then you should gravitate towards a touristic center such as Galle, Unawatuna, Mirissa, Aragum Bay or Trinco. If you want to be in the tea belt you should look around Kandy or Nuwarelia. But Galle has the lead. Who are these buyers? Are they Sri Lankans or expats? The citizens of which nations according to you are buying properties in Sri Lanka? Our buyers are almost exclusively foreign largely from Europe, but increasingly from the Middle East, India, Singapore, Hong Kong, etc. There are expat Sri Lankans buying, but they tend to go for Condominiums in Colombo and we don’t presently cover that sector of the market. What kind of properties are mostly in demand from foreigners buying in Sri Lanka? We have a lot buyers just taking land to sit on or build a dream home along the beach. Lake or lagoon side is also very popular as are lovely colonial houses set on the side of Paddy fields or hill tops with breathtaking coastal and jungle views. And we must not forget Galle Fort which as a UNESCO world heritage of great beauty and cultural history site is always popular. What is the pricing bracket of these properties? Ah…the piece of string question. Our market tends to be from $100,000 to $2,000,000 and more for bigger investors. What are the residency rules for expats wanting to stay in Sri Lanka for a longer period? Are there any special visas or resident passes? What are the property rules for expats to buy a property in the country? Well, we of course insist that you get proper legal advice. With regards visas there are several ways; One can of course extend for up to about six months without a problem after which some people take a trip home. But for longer term visas of a year or more one must either bring skills or investment or be retired or over 55. If you can tick any of these boxes it should not be a problem to secure a longer residents visa. You can get more information on the types of Sri Lankas visas in our website. Sri Lanka is one of the only countries in Asia in which a foreigner can buy a freehold property in their own name. However it tends to be much more tax effective to do it through a company structure as it saves very high taxes on the way in. There are no Capital Gains Taxes and correctly structured it is easy to repatriate both capital and profits which is certainly a very strong added incentive. But it is very important to get the structure right or one could become liable to high taxes on the way in and struggle to get ones profits out of the country in future. Is Sri Lanka a good location to retire? What about healthcare facilities? Are these facilities good? Yes, we have a growing number of people coming here to retire. The people here are lovely and know well how to care. There are excellent Hospitals, Doctors and Nurses and government welcomes retirees with regards to visas, etc. Of course one must be self supporting. 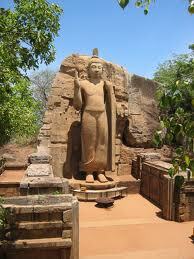 Any top tips you would like to offer to people who want to buy in Sri Lanka? Bring a smile and it will be reflected back to you 1000 fold. JETWING Hotels will open seven new properties in Sri Lanka over the next three years to take advantage of the growing number of Asian visitors to the country. According to Hiran Cooray, chairman, Jetwing Hotels, there were 333,023 Asian visitors to Sri Lanka last year, accounting for 38.9 per cent of total arrivals. Western Europe came in a close second, contributing 313,968 visitors. “We will build exciting hotels where Jetwing is not already present, to tap the huge increase in inbound traffic from Asia,” he said, adding that India was the number one source market for Jetwing properties, while the South-east Asian and North Asian markets were growing exponentially. The former Blue Lagoon in Negombo, designed by local architect Geoffrey Bawa in 1965 as the first purpose-built resort in Sri Lanka, is due to reopen as Jetwing Lagoon next month after undergoing a transformation. The four-star resort will offer 55 rooms and eight luxury villas, an outdoor pool, five dining outlets including a wine cellar, and a spa. Jetwing Yala Safari will open in April 2013 with 66 rooms and 32 villas; Jetwing Colombo in April 2014 with 70 rooms and 28 serviced apartments; while Jetwing Yarl offering 76 rooms in Jaffna is already under construction. Also in the pipeline are Jetwing Lake, Dambulla with 100 rooms; Jetwing Reef, Uppuveli offering 60 rooms and 20 villas; and Jetwing Kandy with 80 rooms. Cooray plans to market the new properties through the Jetwing website and various online channels, advertising with travel trade publications, participation in overseas travel fairs, as well as through his business connections as PATA chairman. Jetwing is also set to ramp up its distribution efforts by expanding partnerships with travel consultants and wholesalers, he added. Jetwing hosts fam trips for travel consultants in partnership with SriLankan Airlines on a regular basis. Jetwing currently has 12 hotels in operation in Sri Lanka, representing some 520 rooms. The company also manages the 16-key Mai Chau Lodge in Vietnam, the 26-key Xiengthong Palace in Luang Prabang, Laos, and a 22-room four-star motel in Auckland, New Zealand. Singapore-based retailer Mohamed Mustafa will build a 115 million dollar mall and mixed development in Sri Lanka’s capital Colombo, the island’s ministry of economic development said. The mall will be built in the Colombo 15, postal area in Sir Ramanathan Mawatha, a ministry statement said. An agreement was signed with Sri Lanka’s investment promotion agency, the Board of Investment in a ceremony attended by economic development minister Basil Rajapaksa. The mixed development will have a department store, a 975 roomed hotel and 400 serviced apartments and a 1,000 vehicle car park. Earlier reports said Mustapha had bought land from Sri Lanka’s The Finance Company for the project.